ToolWindow is the container control that hosts all panes that are in a floating state. Every time you drag a pane and undock it, a new instance of the class Telerik.Windows.Controls.Docking.ToolWindow is created to host that pane for you. The implementation of the RadDocking never requires you to work with ToolWindows directly, but with the Pane hosted inside it. 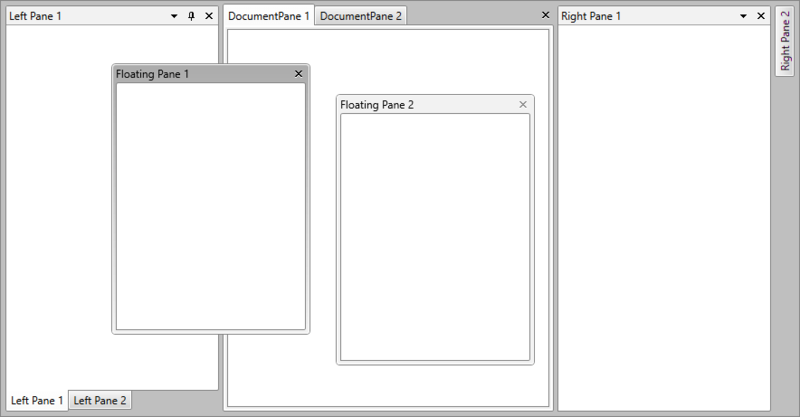 For example, to make a ToolWindow not closable, just set the property CanUserClose of the hosted RadPane to False. In the figure below you can see two ToolWindows with a floating pane inside of each one. You can learn how to declare such a floating structure in the Floating Panes help article. To learn how to style the tool windows of your applications, read the Styling the ToolWindow topic.